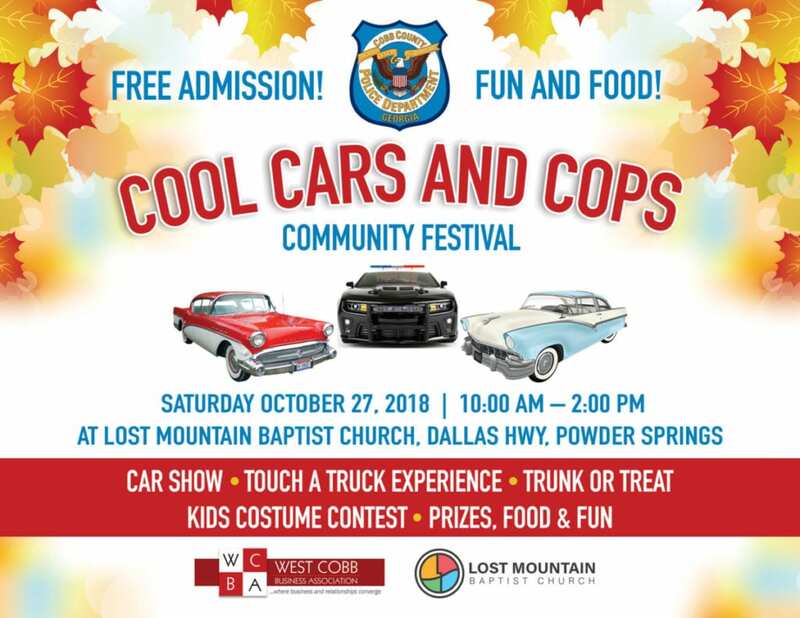 The Cobb County Police Department and West Cobb Business Association will hold the first annual Cool Cars and Cops Community Festival on Saturday, October 27 from 10:00 a.m. until 2 p.m. at Lost Mountain Baptist Church, 5400 Old Dallas Rd. in Powder Springs. The event is free. “Through the Community Affairs Unit, we look for different ways to connect with the public that allow us the opportunity to build and foster strong working relationships. 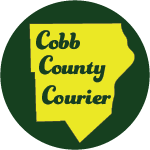 It is our hope that these relationships will lead the police department and the citizens of Cobb to work together to make Cobb County the best place to live, work, and play,” said Sgt. Jeff Tatroe. Children are invited to wear costumes and participate in Trunk-or-Treat. Local elementary schools have adopted patrol cars and will compete to have the most creative trunk display with the assistance of Community Affairs officers. The event will also have inflatables and food trucks, including Marco’s Pizza, Zeigler’s BBQ, Kona Ice, Pop! Bubble Tea and Peace of Popcorn. Organizers are seeking car enthusiasts with vehicles to display. All makes and models are welcome, whether classic, exotic, tuner or projects, and there is no fee to enter the car show. Trophies will be awarded. Please contact Sgt. Tatroe 770-499-3981 or email jeff.tatroe@cobbcounty.org if interested. 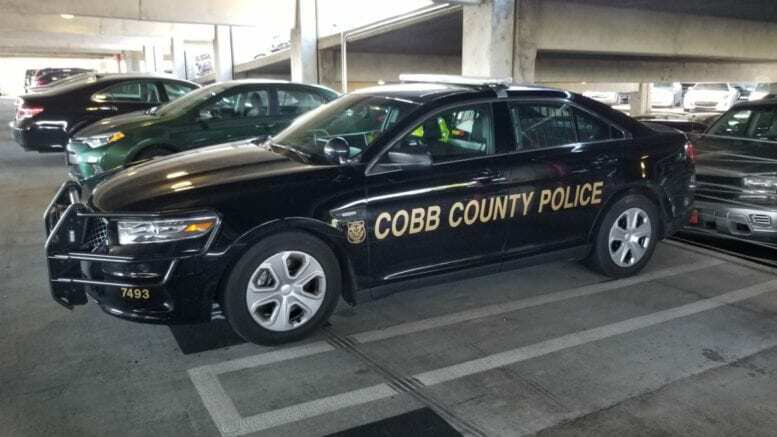 Be the first to comment on "Cobb Police Plan First Cool Cars and Cops Community Festival"